Access your data quickly and efficiently with the 1TB 860 QVO SATA III 2.5" Internal SSD from Samsung. This 1TB solid-state drive features sequential read speeds of up to 550 MB/s and sequential write speeds of up to 520 MB/s, making it ideal for storing and rendering large format files such as 4K video and 3D data. Moreover, it can transfer files quickly, thanks to its SATA III 6 Gb/s interface. When paired with its 2.5" / 7mm form factor, this SSD is compatible with a wide range of notebooks and desktop computers. 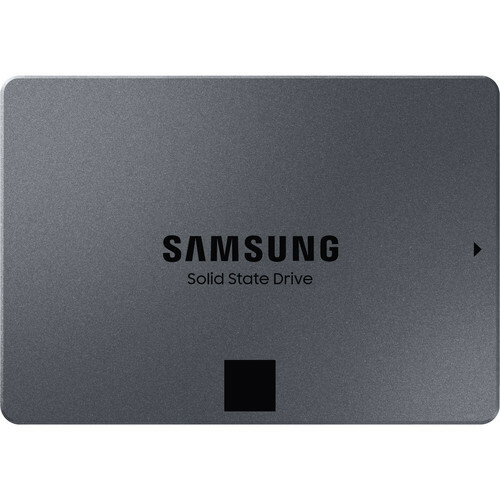 This SSD also features Samsung's 4-bit MLC V-NAND flash memory, MJX controller, TRIM support (OS dependent), AES 256-bit and TCG/Opal v2.0 encryption, 1.5 million hours MTBF, 360 TBW (terabytes written), an uncorrectable bit error rate of 1 sector per 1017 bits read, data retention of 1-year power off once the SSD reaches its rated write endurance at 104°F / 40°C, and low power usage. Box Dimensions (LxWxH) 5.11 x 4.0 x 0.13"
1TB 860 QVO SATA III 2.5" Internal SSD is rated 4.7 out of 5 by 23. Rated 5 out of 5 by Joseph S from Blazing Fast Drive I use this for my computer backups. I have a port on my PC which is hot-swappable with both Hard Disk Drives (HDDs) and SSDs. My PC also has an SSD for its C:\ Drive. The backups are amazingly fast compared to previous HDDs. The speed of this drive is limited by your SATA interface, more than many other factors. A Fabulous Buy!!! Rated 4 out of 5 by Paul from Great Laptop HD Replacement Replaced laptop 750G hard drive. Migration was easy using Acronis. Fast boot and application startup. Rated 5 out of 5 by Igor from Great value SSD Elegantly designed and affordably priced made by one of the leaders in ssd technology Samsung. Samsung magician software for cloning OS and transfering data from the old HDD worked flawlessly. Highly recommend. Rated 5 out of 5 by Jeremy from Great Product I bought this SSD when it went on sale. Man am I glad I did. Honestly I think I would’ve paid full price but I’m happy either way. It’s super fast. The only thing to note is that you’ll have to buy a SATA cable to complete the install onto your motherboard. The data/file transfer program Samsung uses is super easy and seamless. B&H were super fast with their delivery, I got it within 3 days for standard shipping. Definitely would recommend buying this product from these guys. Rated 5 out of 5 by John from Laptop Upgrade (HHD to Samsung SSD) I have a 6 yr. old laptop that came with a 1TB (5400 rpm) HHD. It took at least 5 min. or longer to start up and forever to download and install updates for Windows. So, I purchased the Samsung 860 QVO SSD along with a StarTech USB 3.0 to 2.5 SATA III drive adapter cable. Using the free Samsung Data Migration Software, I cloned the 1TB HHD to the Samsung SSD. It copied everything, the OS, all of my documents and settings, and all programs that were installed at the time. My laptop has 2 hard drive bays. I replaced the HHD with the SSD in bay #1 and placed the HHD in bay #2. My laptop boots from the SSD with the OS and programs. I use the HHD for documents, pictures, music, misc. files, ect. Now, I can turn on the laptop, check for updates, and start using it within a minute or two. Very happy with my Samsung SSD purchase. Rated 5 out of 5 by Dave from Excellent SSD I bought this after my HDD dropped 6 inches while in use, and completed corrupted all of my data. Done with HDDs, I gave this SSD a try because I have a samsung T5 portable drive that I love and have had no problems with. I use this as an external SSD coupled with the Orico clear enclosure that I purchased off of amazon for a few bucks (which bottlenecks the SSD, but is still fast enough for my use). Overall, unbeatable for the quality and price. Will this replace the hard drive in an ASUS 550C laptop? Having never replaced a disc drive in a laptop, I would assume that it is different from any of these desktop computer drives. I sincerely doubt it would fit. I wish I could have been more help. Can this be used as an external drive to a MacMini ?? Will this fit Mc book Pro 13&quot;? It will depend on which model you have. 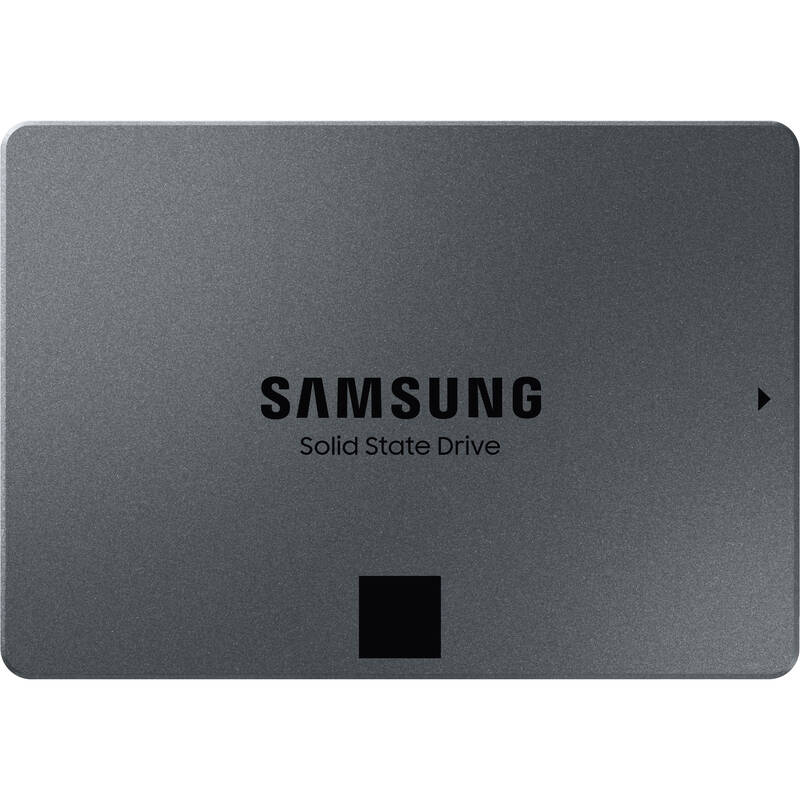 The Samsung 1TB 860 QVO SATA III 2.5&quot; Internal SSD B&amp;H # SAMZ76Q1T0BA would be compatible with the 13'' Macbook Pro's made Mid 2012 or earlier. It would not fit the Retina models or the more recent Thunderbolt 3 models. will it work with a macbook pro mid 2012 15 inch 2.3 ghz i7 machine? will this go into a laptop easily? Will it work and fit on a March 2012 Samsung notebook Model# NP305E5A? Will this work with the Atomos Shogun Inferno? The Atomos web site shows that the Samsung 860 PRO SSD 1TB works in certain modes but has not been tested or failed the &quot;Up To 12bit ProRes RAW HQ @ 4K 50/60p, 12bit CDNG Raw @ 4k30p&quot; mode. I would think that the 860 QVO would work in the Shogun Inferno. The 860 is a very rebust SSD.